Thank you for the "5 Stars"! Great job by Ryan, had 2 previous garage door companies and couldn't get it right. Ryan's can do attitude and knowledge of the door system was impressive! #1 in my books. Yes, Ryan is very knowledgeable and does have a great attitude! Thanks for the 5 Stars! Justin did an excellent job. He was efficient and friendly. The technician arrived on time, was knowledgeable and resolved my issue. He was personable and efficient. Dustin was fabulous! He was knowledgeable and gave us all of our options so we could make the best choice. He went above and beyond, and was very personable and friendly. He is a real asset to your technician team. We will definitely speak highly of Precision! Thank you for the "5 Star" review! Technician was prompt, professional and communicated updates and next steps very well. They will surely be my first call if garage services are needed again. Thank you for the review! While it's great to hear we will be your first call should you need us, we hope you don't need our services again for quite a while! Precision has my recommendation. Michael Otteson did an excellent job installing my new garage door opener. He was very personable and explained the difference of repairing the old one (which is no longer made) or purchasing a new one. He was always on time and called to let me know when he would arrive. He also programed my car to open the garage door which was greatly appreciated. He has "thumbs up" from a Snellville home owner who will call on him again if the need arises. Thank you for the recommendation and for taking time to share your review. We value your business! Joe Mikesh did an excellent job quickly. He was very personable and explained all my options thoroughly, letting me know which items were a priority and which were recommended but could be delayed if needed. I highly recommend his services. Precision has been the best company we have ever worked with. We first started with Chase that sold us our garage doors. He was so professional and informative. Next from installation with Tyler. Was very professional and did an awesome job. We love the doors . This week we had to purchase a garage door opener. Immediately we knew it had to be Precision. Michael Ottosen came out, as we expected, very professional!! Thanks for the good job Michael! Thanks Precision for hiring the best Employees!! Highly recommend this company to everyone. We thank you for your repeat business and for taking time to post your review and sharing your experiences with Precision! You are a valued customer. Precision had sent one of their technicians came to repair our non-working garage. I believe he did a great job and i would recommend to anyone out there. Thank you very much for the recommendation! Chasen did a great job repairing my doors. He explained where the issues were and what could be done to fix them. I've used Precision since I bought my house in 2013, and I've always been really pleased with the service I've received. Thank you! Thank you for coming so quick and showing up on time. Great service and the product installed fantastic. The entire process from starting a chat, setting an appointment window, promptness of the technician, explanation of services and confirming the order and setting the installation date precision door has been professional, knowledgeable and friendly. I am very impressed!!!!! Glenn provided a courtesy call notifying me of his arrival and arrived early within the designated window. He explained the problem, and offered solutions. The garage door opener and other equiment was replaced and works more smoothly and quieter than the previous garage door opener. Glenn provided exceptional professional service. I can honestly say Precision is the best garage door company. 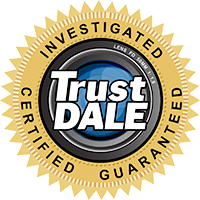 David provided excellent service...very pleased! Excellent response from beginning to end with these folks! Good communications and excellence in execution with our installation! Please give Precision a call... you will see what I'm talking about. Precision Door never seizes to amaze me. I have used their services in the past and each time, they produce phenomenal service. Honest, accurate, on time, great customer service. This morning, Sean inspected my garage door that had collapsed. I was hoping the problem was minor, and it was but he explained, the reason the door was having problems. He suggested a new door, but also suggested an immediate solution to the problem and informed me the resolve would not last forever but it would resolve the issue today. I asked Sean to forward an estimate of the replacement of the door including labor, as I will be calling Precision Door to replace the garage door when it fits into my budget. Thank you Precision and thank you Sean. Being Available 24/7 is wonderful. The best customer service ever from the initial call to the repair. The technician thoroughly inspected my garage and I received the break down of what needs to be done to my garage. I also received quotes that were very accurate down to the penny with the taxes. Thank you so much!!! Love the new doors, so quiet and look so very nice. I cannot say enough nice things about everyone involved in this. Office staff that set up appointments for estimate and installation, funny and nice. Kelly the estimator explained a lot of stuff, great sense of humor, and Rich the installer was great, he explained all the new stuff with the doors since ours were really about 33 years old. Would highly recommend to anyone. As far as I am concerned well worth the price and no headaches with anything. Thanks! We're so happy that we were able to make this process easy for you! The repair technician was on time and did a fantastic job on my garage door. I no longer hear the crazy noise as before. Tech did an outstanding job in a timely manner. Prompt, friendly, knowledgeable, courteous and beyond reliable service, Precision garage door of Atlanta is the hands down best in the business period. Extremely satisfied with the service of Precision. They were prompt to schedule an appointment within 1 day. Alan was my technician and he was very professional and cost savings minded for me as the customer. I would highly recommend this company! Thank you for the excellent, customer-focused service. Precision Doors were great. Ryan was very prompt, professional and friendly. I woud definitely recommend. Thanks Ryan.